Helping to Heal the Community for Over 40 Years. Are you suffering from Neck or Back Pain? You have found the right place. Learn how a chiropractor can help with your recovery. 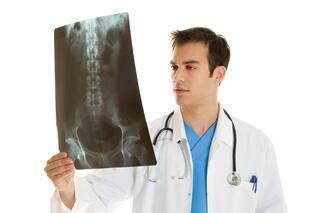 Our Hinesville Chiropractors are experts at treating all types of pain and injuries. We have been helping the hurt and injured recover for over 40 years. Our chiropractic treatment is combined with medical doctors to create a personalized treatment plan that will be focused on each patient's particular needs. At Arrowhead Clinic in Hinesville, GA it is a one stop solution for chronic pain and injury victims. Do not let your pain become so severe it affects the quality of your life. Let our expert Chiropractors treat you. We offer a free consultation to see how we can best assist with your recovery. Click below to schedule today. There are countless pain symptoms and injuries that are best to be treated by a Chiropractor. Chiropractors are specially trained to treat musculoskeletal and soft tissue injuries. Chiropractic treatment will also be different than that of a medical doctor. Chiropractors do not use narcotics that only mask the pain, they instead focus on physically correcting the issue. 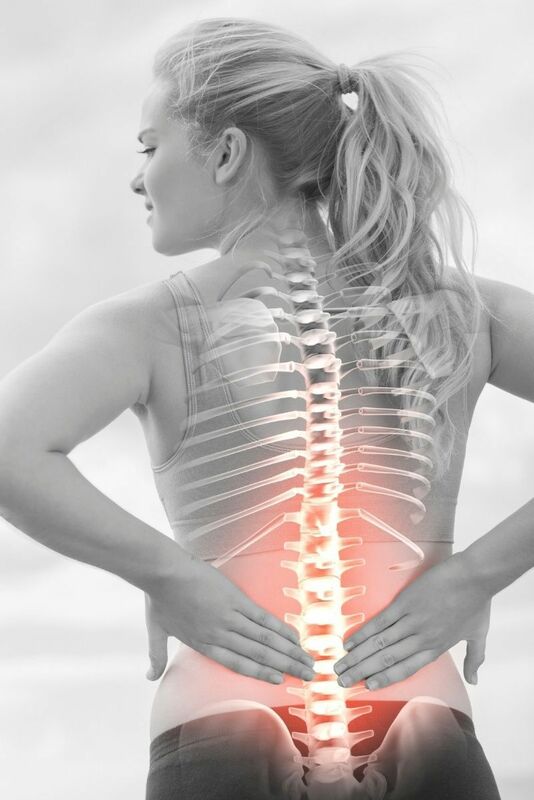 A Chiropractic spinal adjustments and natural healing techniques help the body to revert back to its natural functioning, relieving pain and maintaining health in the future. Any of these symptoms could potentially impact the quality of your life if left untreated, making normal tasks difficult and painful to fulfill. Dr. Bruce Myers at our Hinesville Chiropractic Clinic will develop a personalized treatment plan that is tailored to your particular pain condition. He will help you regain mobility and relieve stiffness, pain, and tension in the injured area. Many who suffer an injury will contact our Hinesville Clinic for help, but we do not limit ourselves to only helping those involved in personal injury accidents. Once your pain condition is identified, you will be given a treatment plan that is dedicated to helping cure your condition, reduce your pain symptoms, and eliminate your pain. Treatment options will vary from patient to patient, but Dr. Myers will always use the safest techniques and the newest technology to help your body return to optimal function. Our Hinesville Chiropractic Clinic focuses on correcting the musculoskeletal issues in the body. They do this by using safe and natural chiropractic adjustments. The adjustments help to ease muscle tension and correct the spinal alignment to improve the body's functioning ability. Spinal Decompression- Uses pressure to put herniated and bulging discs back into their natural position. Spinal adjustment- Realigns the vertebrae of the spine to its proper position and reduces pain in the muscles and joints. Pelvic Stabilization Drills- Are used to stabilize the pelvis and correct your walking gait. This is used in patients who suffer from disproportionate leg length, flat feet, and subtalar instability. Correcting the way you walk, will naturally allow the body to become more structurally sound. It also helps to reduce tension and eliminate pain in the body. Electrical Muscle Stimulation Therapy- Helps patients who are suffering from severe muscle spasms and cramping by sending mild pulses of electricity throughout the muscle group. Ergonomics Training- Recommendations on how to modify sleeping positions, your work station, or your posture to help reduce pain. Flexion-Distraction Technique- Gentle, hands-on pumping action performed on the intervertebral disc. Instrument-Assisted Manipulation- A spring-loaded instrument used by chiropractic doctors to non-manually apply force without thrusting into the spine. Chiropractic care is an all natural method that is used for healing the body and reducing pain. To start the process of Chiropractic treatment at our Hinesville Clinic, you will be required to fill out initial paperwork that includes information about your medical history, previous conditions, and current symptoms. After Dr. Myers has familiarized himself with your medical history, he will complete a physical exam to diagnose the exact cause of your pain. The Doctor may also complete an evaluation of your range of motion, stability, and balance of the injured area. You will more than likely need to have X-Rays taken, and possibly and MRI. These tests will help accurately diagnose your injury and ensure you are being treated in the most appropriate manner. Once your diagnosis is complete, Dr. Myers will put together a specialized treatment plan that focuses on the cause of your pain helping your body restore its optimal function. If you are experiencing chronic pain or were injured in an accident, it is important to contact a Chiropractor as soon as possible. Chiropractic treatment not only relieves pain and discomfort, it also improves your body's natural ability to self-heal. Correcting misalignments and injuries in the musculoskeletal system will restore your body's natural mobility and flexibility. You do not have to continue to suffer from pain and discomfort. We offer a free consultation with Dr. Myers at our Hinesville office. To schedule your Chiropractic consultation and evaluation, click below now. Wonderful staff, amazing doctor. Ashley, and Tisa welcomed me and made me feel at home. First time being in an accident and they showed me love and made me feel so comfortable. I will recommend anyone to this clinic.